Is the burn time for this candle accurate? The burn time is an estimation. To get the most use out of the candle, be sure to properly manicure it by trimming the wick every hour. 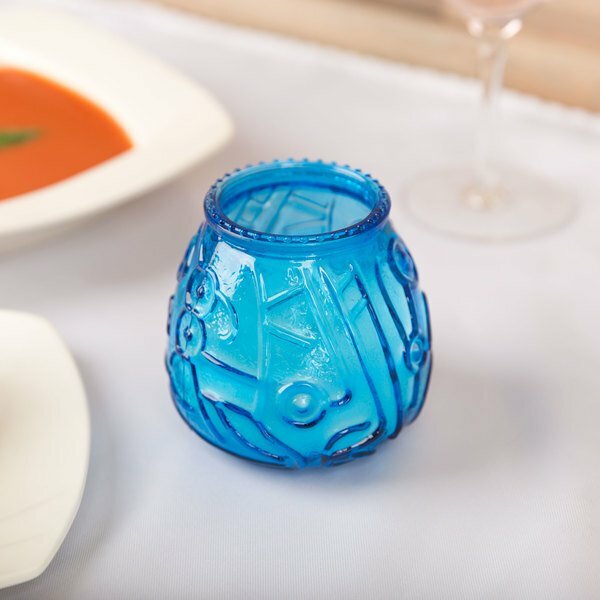 The details in your table settings can make a big difference, and this Sterno Products 40120 4 1/8" blue venetian candle gives guests a genuine, candlelight experience they'll remember. 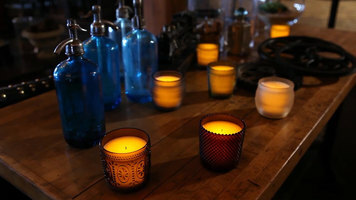 This wax-filled candle produces a warm, calming glow that will easily enhance the ambiance of your restaurant or bar. 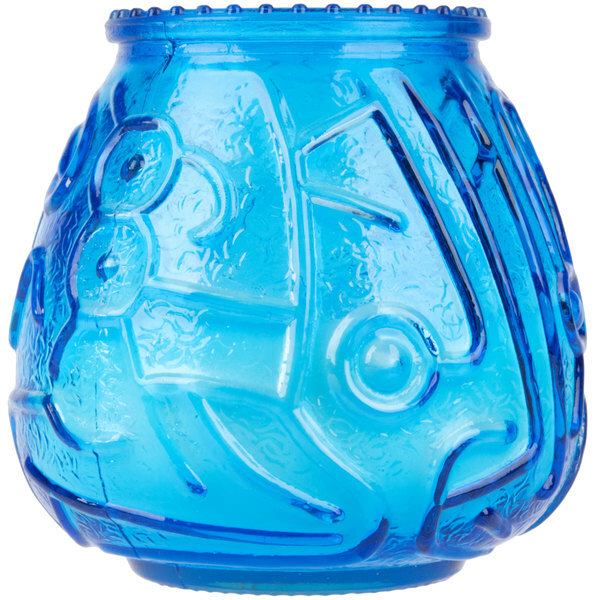 Thanks to the festive, embossed detailing on the glass, this candle fits perfectly with your Spanish or Mediterranean-inspired decor. 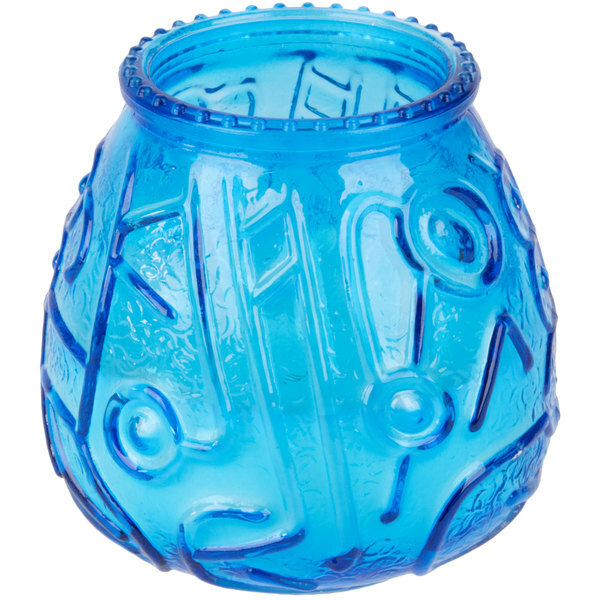 Plus, the textured rim and bright blue color add to the candle's stylish look. With a 45 hour burn time, this candle will help minimize replacement costs. 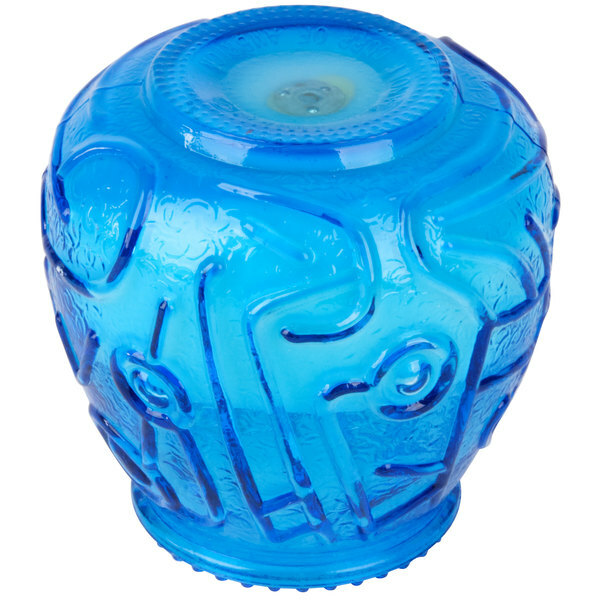 The glass exterior prevents messes by catching and holding melted wax as the wick burns down. As practical as it is decorative, this candle will help set the mood and create an inviting atmosphere in your dining area. I ordered a case of these as well. The price is very good and I am curious of the burning time. It seems so great! The color is very nice. I'll definitely re use these for aimple decorations. Very nice candle, and they burn very well , longer lasting than posted, they do not produce that much soot either and the wick burns true. These candles are great for making a table stand out! Good for picnics as well! The red color is great for wooo'ing that special someone with a romantic dinner! 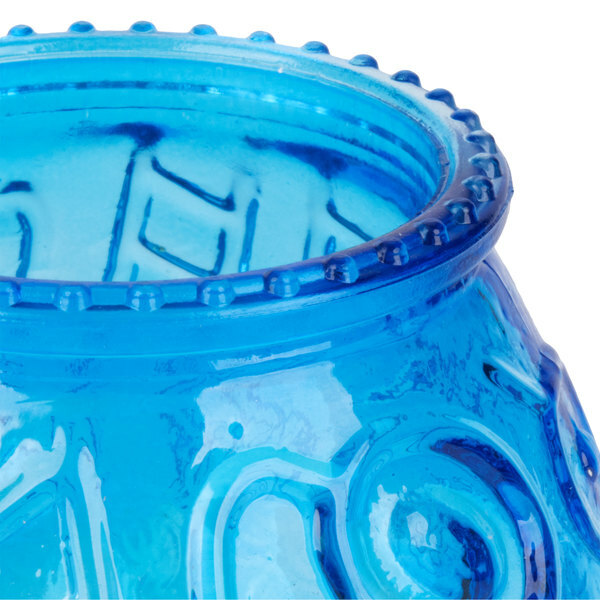 These venetian candles are really handy for romantic dinners. 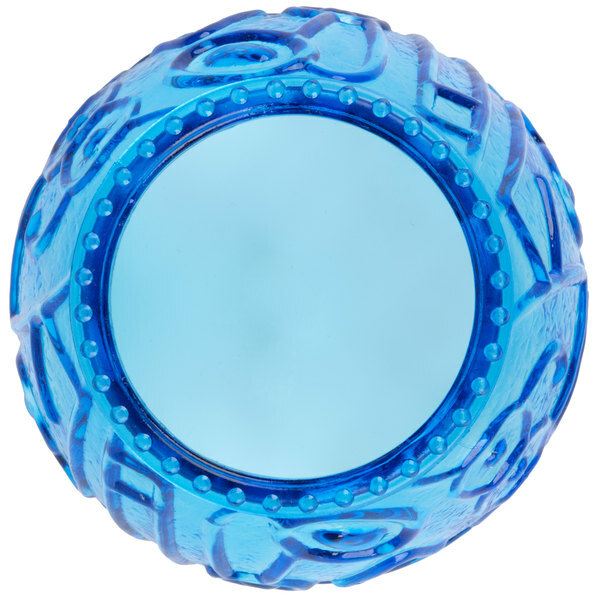 Not only do they look good but they are also very easy to work with: they clean very easily. These venetian lamps are also great as bedroom accents for valentine's day.